Imagine sitting at your table during lunch, when all of a sudden someone starts choking. Do you know what to do in situations like that? Would you be able to save them? According to WTVR, that is exactly what 5th grader Benjamin Ford did. 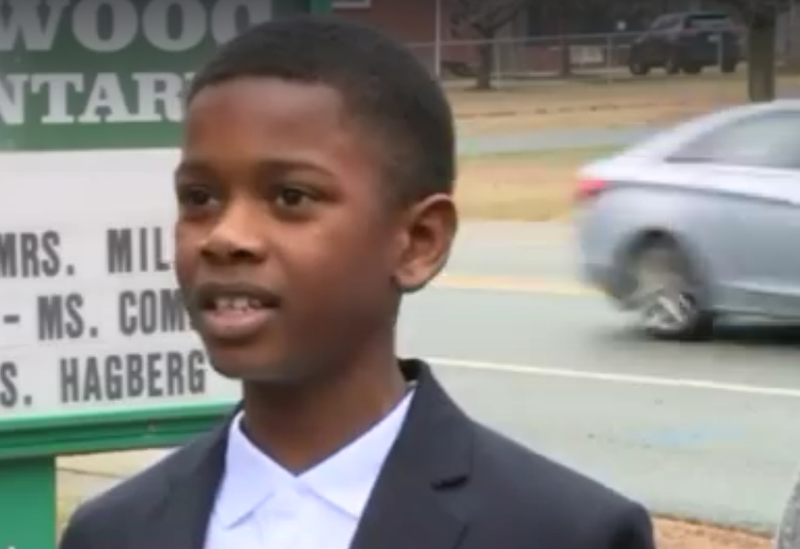 His quick thinking saved one of his classmates who started choking during lunch hour. How exactly did a 5th grader know to do that? Even for adults, the Heimlich maneuver is hard enough to do, if you haven’t been trained. It turns out that Benjamin had watched a documentary years before that gave him the knowledge to save his classmate. Amazing how one show can teach our children how to help another. Benjamin Ford used the knowledge he gained from a documentary to save a classmate. He noticed that the said student was starting to turn colors while gasping for breath. His quick thinking made him a hero for a day. “I wasn’t really calm, my heart was racing I just knew I had to help her,” said Benjamin Ford. Even the school complimented him on his quick thinking, saying that he did an amazing job. Benjamin said he relied on the information from the documentary he watched with his mom, a few years ago. The Greenwood Elementary administrative board shared his story with the whole school which earned him claps and fist bumps from other students. Benjamin became a hero to the classmate who could have not made it that day. What is Next for This Young Hero? Even his parents were really proud of his actions that day. Though in their minds they thought he had saved someone while playing a video game. To their shock and surprise, it was a real person. “Then we found out it was a real person we were shocked….it was awesome,” his mom said. These types of skills could be taught in schools, even in the younger grades, though are sometimes left for junior high and high schoolers. Learning from a documentary was very cool, and gives this young man a skill he can use throughout life. So what is next for this young hero? His friend gave him a huge hug and thank you after the life had been saved. His parents were so proud of him that they took him out to celebrate. Not only did he get to go a buy a video, he got to see the new movie Black Panther. Would he do it again? Yes, he stated that he would do it all over again to help his friends. Congratulations to Benjamin Ford for being a hero to a fellow student!